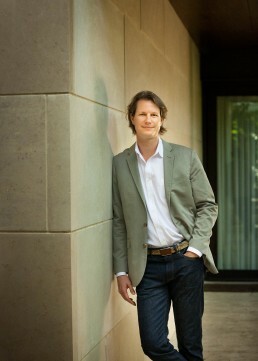 Tobin Smith is the Principal of Tobin Smith Architect, an award-winning practice founded in 2007. His firm’s work includes city and ranch houses as well as retail spaces and corporate offices. Responsive to climate, culture and context, his firm seeks substantive design solutions through rigorous study of place. Their projects have been featured in local, state and national publications and received recognition for design excellence. An active member of the design community, Tobin currently serves on the Texas Society of Architects Honor Awards Committee, is Chair of the American Institute of Architects San Antonio Chapter Homes Tour, a past Chair of the Chapter’s Lecture Series and previously served on the Chapter’s Executive Committee. He recently completed his tenure on the Advisory Council of Villa Finale, the only National Trust Historic Site in Texas. Tobin has been a guest critic at Texas Tech College of Architecture, University of Texas Austin School of Architecture and University of Texas San Antonio School of Architecture. He is a graduate of Cornell University and a post-graduate winner of the Robert James Eidlitz Fellowship. Tobin is licensed to practice architecture in Texas and Colorado and is registered with the National Council of Architectural Registration Boards.